Every eligible new Toyota comes with a maintenance plan that covers you for 2 years or 25,000 miles – at no cost. ToyotaCare Plus offers more protection for longer, up to 5 years or 75,000 miles from date-of-first-use. Date-of-first-use is when your vehicle is retailed as new with less than 799 miles. 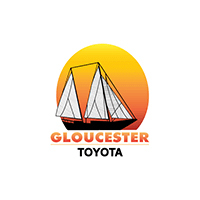 6Toyota vehicles are eligible for these plans if the vehicle was eligible for the no cost 2yr/25k ToyotaCare and if the odometer reads 31,000 miles or less, and is within 37 months of date of first use. Coverage is effective from date of first use as a new vehicle and zero miles. Vehicle is considered new at date of first use if vehicle has 799 miles or less on the date vehicle was first placed into service. Coverage expires at maximum time or mileage of the selected plan, whichever comes first. Availability shown by terms or milage, whichever occurs first.